Kindly choose according to the size chart we attached, note the Amazon one! 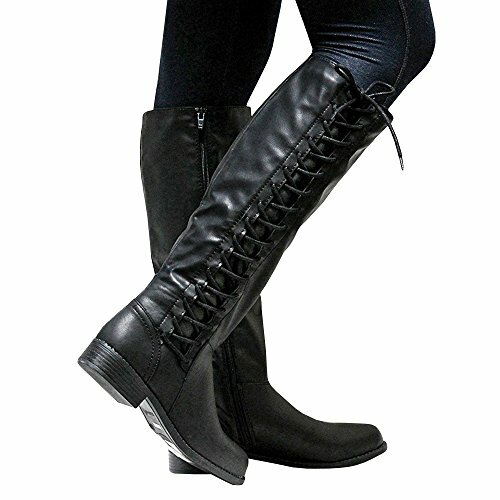 Lacu up, Criss Cross, Zipper Side, Heels, Faux Suede Tall Boots for Women. Fashion and chic design that is sure to compliment every modern woman's wardrobe!